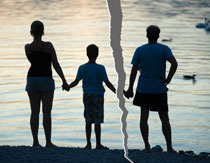 At the Tampa Bay Family Law Center, we understand that the outcome of a marriage dissolution, child custody dispute, or marital property settlement will have a profound impact upon your life, your relationship with your children, and your financial well-being. We provide highly personalized, skilled representation, tailoring our legal services to meet every individual client’s needs. We prepare cases for trial. We know how to gather evidence, and how to effectively advocate for clients in the courtroom. Because we are prepared for trial, we negotiate from a position of strength. On the other hand, we also know how stressful, expensive and time- consuming full-on litigation can be. 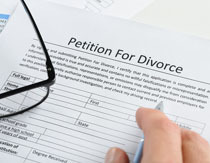 The Tampa Bay Family Law Center offers the full range of services to meet your divorce needs, including mediation, collaborative divorce, and trial. We will instruct you on the pros and cons of all of your options. After you have had a chance to tell us about your family and your needs, we will help you evaluate the best strategy for your divorce.